About 75,000 men, many from India's poorest areas work illegally as sand miners along Vasai Creek, diving 40 feet (12 metres) into pitchblack waters clutching just a metal rod for balance and an iron bucket to fill with sand. For the miners, the soaring demand of sand for construction means a 12-hour work cycle that starts with setting sail into the creek at midnight to find a good spot to dive. Sand mining has been declared illegal in most parts of India with countless court petitions highlighting the danger it poses to coastlines, marine life, and sand reserves. Sanjeev Reddy Varakala, a 36-year-old computer engineer with 12 years’ experience, life now was supposed to be very different. Last year, he received an H-1B. He quit his job at IBM India and planned to go to the U.S. to work, save enough money to educate his three children, maybe bring his family to America for a few years. Instead, in December, just eight months after he arrived in America, he was deported. U.S. officials sent him home after finding that his visa documents were not in order. 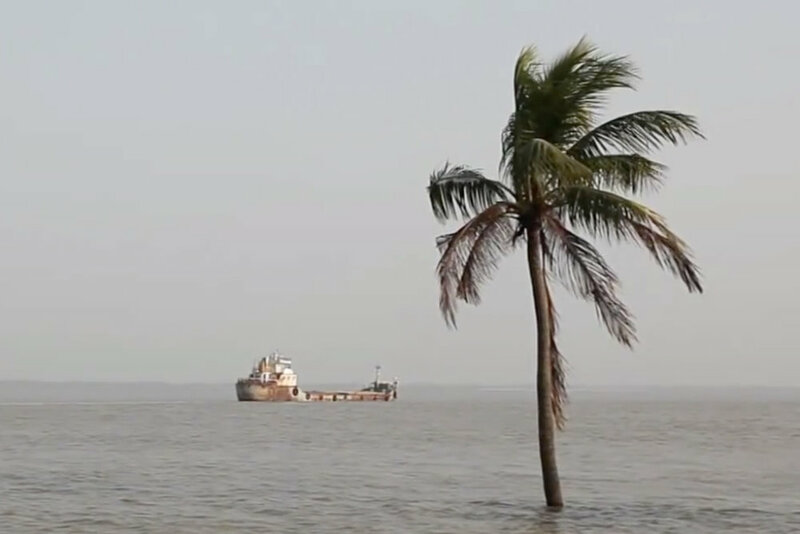 The islands of the Sundarbans in the Indian subcontinent are sinking. The villagers of Ghoramara Island say it’s because of global warming and the rising sea level. As a result of the subsequent erosion over the years, the islands keep getting smaller. The villagers say that, at the current rate of shrinking, the island of Ghoramara will disappear completely in a few years. For many children in India, a free and compulsory education is out of reach. Volunteer teachers like Rajesh Sharma are trying to fill this void. See his journey from store manager to managing an open-air school in New Delhi, India with no money or resources. Every 53 minutes a farmer commits suicide in India. Thousands of widows have been making their way to the holy city of Vrindavan in northern India to spend the rest of their lonely lives. Cast out by their families, or simply alone in the world, some travel hundreds of miles to get there. What do some disabled and homeless people in India do when they don’t get help from their families or the government? Imran Mullah shares his inspirational story. At least 2800 families of puppeteers and street performers in New Delhi are on the verge of losing their homes due to redevelopment. Batasi and Mohan from Kathputli colony tell their story. A year ago, the #metoo debate began in Hollywood. Now the movement has reached India too. The allegations of Bollywood actress Tanushree Dutta have sparked a broad discussion. Kushti wrestling has been around for almost 3000 years in honour of the Hanuman, the monkey god. Space for Akhadas, the arenas that Kushti fighters practice in, are becoming more and more difficult to come by. Meanwhile, an increasing amount of young athletes are now taking up mat wrestling and giving up mud wrestling in order to gain access to international competitions such as the Olympics. At the Akanksha Infertility Clinic in Anand, Gujarat, Indian women are paid thousands of dollars to carry children for infertile couples from around the world. Surrogacy regulations in India make it an attractive destination for infertile couples seeking to have a biological child, with clients from some 29 countries using the clinic to start a family, mainly from the USA, UK, Canada and Australia. Over 1 billion people in the world don’t have an official proof of their identity, which greatly limits their ability to access health, education, and financial services. Yet, with recent advances in digital technologies, countries now have the power to change that. The World Bank’s Identification for Development (ID4D) Initiative—through the #EveryID has a story series—is sharing how IDs can empower people. Raised in an orphanage, Revanna excelled in school and at his true passion—football. He earned multiple chances to travel abroad, but couldn’t go. Once he got his official identification, Revanna was able to apply for a passport, and even realized his dream to attend the #FIFAWorldCup in Brazil (2014) and most recently in Russia (2018). More than 1 billion people don’t have an official proof of identity, which greatly limits their ability to access services and escape poverty. Thanks to digital innovation, countries now have the power to efficiently change that. The World Bank Group’s Identification for Development Program is helping countries create robust, inclusive identification systems that make everyone count. A collaboration to catalyse the growth of social entrepreneurship in East Africa and India.